In a world where fake news stories change election outcomes, has rationality become futile? In The Art of Logic in an Illogical World, Eugenia Cheng throws a lifeline to listeners drowning in the illogic of contemporary life. What Gorillas Are We Missing? This is the famous invisible gorilla experiment, familiar to anyone who has been reading the growing body of cognitive psychology and behavioral economics books about the (predictable) limits of our brains. The sad fact is that none of us are as smart, rationale, analytical, or emotionally balanced as we perceive ourselves to be (unless we are clinically depressed, the only people who can accurately judge their own looks, performance, or status). 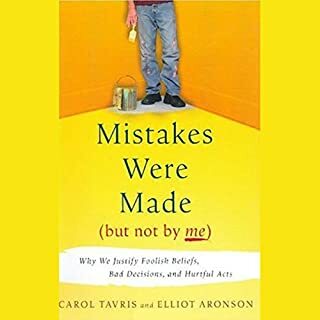 We better face up to the fact that we miss more than we ever recognize (the gorilla experiment), and we forget more than we remember (and when we remember we tend to re-write those memories to make us the stars of the action). We over-value what we have (loss aversion), and are slow to give up existing beliefs (even in the face of overwhelming evidence). 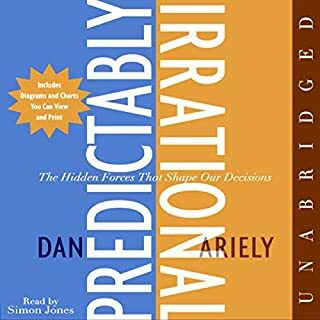 We fail to listen to arguments that don't conform to what we already believe (confirmation bias), and give too much weight to arguments that match our existing beliefs. We confuse confidence with knowledge, good looks with expertise, and wrongly assume that skills in one domain (say athletics) transfer to other settings. We over-think when we should listen to our guts, and listen to our guts when we should take some time and think things through. We see causality when only correlation exists. We see narrative when the only explanation is random chance. We give ourselves too much credit for success, and too much blame for failure. We assume we are exceptional, when in reality almost all of us are merely average. I have a growing library of books to teach me all the things that I'm not very good at. I like this library - these books sort of take the pressure off. If you liked the following books I'm sure you will greatly enjoy The Invisible Gorilla (which, by the way, is well above average in the quality of its writing). 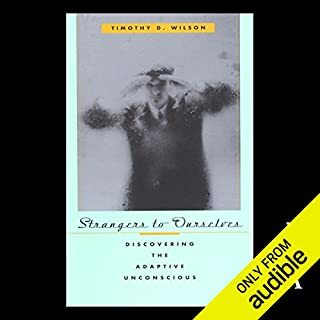 The book is scientifically rigorous and doesn't fear naming 'transgressions' against good thinking by Malcolm Gladwell and others. Still, the authors manage to not come across as entirely negative geeks and offer some useful conclusions. Nonetheless, this work is not inspirational in any classic sense of the word. Consider it an overview or a high quality review of perceptive follies and you will be very satisfied. The quality of the reading is excellent. 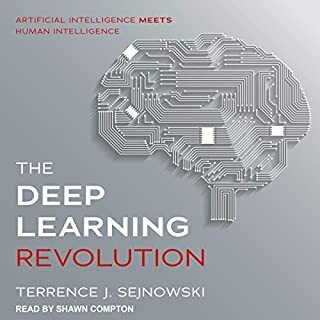 This book is namved after the now famious experimental video where a you get so focussed on coating the number of times a ball is bounced, that a person in a gorilla suit walks slowly through the scene (even stops and waves to you) and is not noticed at all! This has been followed by another video where the screen background changes color and a person leaves the group and neither is noticed!! This is the illusion of changing blindeess. We are often completely blind to things that we are not expecting - like a person in a gorilla suit walking in the middle of a video..did you know in a court room scene in the movie Jagged Edge, that Glen Close outfit changes 3 times while she is front of the jury and no one notices? These are exceptional demonstrations of how our minds can mislead us. Why do eyewitness to the same event have completely different memories of what they saw? Why do we trust people who exude confidence? Is this trust well placed? Why won't some parents get their children innoculated for measles? Is this behavior warranted? Does listenining to Mozart really make you smarter? How did this believe start? Why would Hillary Clinton lie about being shot at when their was video to disprove her? Chapter 3 - Illusion of Confidence. Our misplaced trust in associating confidence with competence. Chapter 4 - Illusion of Knowledge. Chapter 5 - Illusion of Cause. Mixing up associations and correlations. Chapter 6 - Illusion of Potential. Why we believe that there are simple methods to unlock our potential. Like classical music will make us smarter. 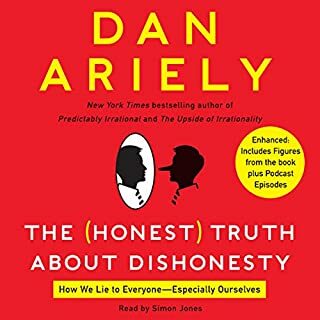 After reading the book I think I felt dumber, less confident, and less aware, but then I thought maybe my memory was wrong and I'm smarter, more confident, and more aware. 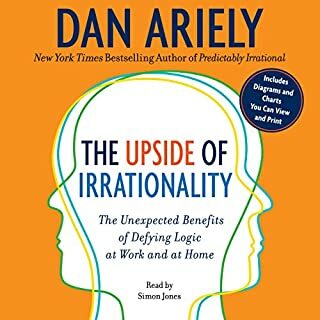 Either way I know I really enjoyed this book and keep the list of everyday illusions printed in front of me to keep me aware of what I may be missing. I enjoyed this book. The narration is perfect, and the content is very interesting. I feel like it gave me a different perspective on many of the ways that dumb/simple people act while following whatever stupid trend is out there. It has also made me reflect on some of my own feelings towards patterns throughout my life. It turned me onto the 'Fooled by Randomness' book also. I wish i could find a wy to give more than 5 stars. One of the best books i have downloaded. The narration is outstanding, perfect for teh book, well paced. Now for the content. i have read several sort of "popular psych" books, including Malcolm Gladwell's several books. Here is the idfference...this one is based on evidence and is written by scientists. Its all based on experiments by themselves and others which really question our understanding of how our minds process information. I found the structure excellent..if give you a framework to place all their conclusions. While I think some of the later chapters, especially the one on "self improvement" a little weaker then the first chapeters, that's partly because the first chapters are so rivetting. I will really use this information as I teach. It's applicable to almost any field. It is incredibly inciteful. And a bonus is they rag on Gladwell several times, which, I agree with. Works like his are observations from which they extrapolate immutable laws about the way the world works. This book tries to rely on solid experimental evident. The difference is striking. In addition, as experts in the field, i find the authors' insights fresh, novel, clearly things that have been thought about and puzzled over for many years. If you could sum up The Invisible Gorilla in three words, what would they be? 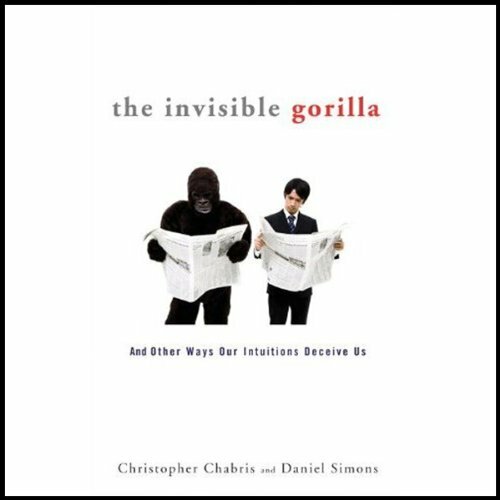 What other book might you compare The Invisible Gorilla to and why? All those books outline the irrational behaviour of humans, and how be arrive at beliefs that are not necessarily true. I really like the format of the book. It is well organized into sections that address different cognitive illusions. Unfortunately, I didn't think this book lived up to the expectations created in my mind when I read the other reviews. The book seemed to drag on after it was about 80% complete. There are other books such as "Sway," "Brainrules," and "How We Decide" that were much more informative as well as very interesting. Everyone should read this book! I will be giving it as a gift to some of my family members (who really need it). This one is interesting to say the least. Worth the credit, and it may just open your eyes.. If not, you might find out you may have missed a few things along the way..